Infinite Art Tournament: The Infinite Art Tournament, Round One: Dubuffet v. Duccio! The Infinite Art Tournament, Round One: Dubuffet v. Duccio! Dubuffet, though I am having a hard time deciding whether I like the second piece or not. A big fan of both, but will go with Mr. Squiggles. Oh, Dubuffet, no question. 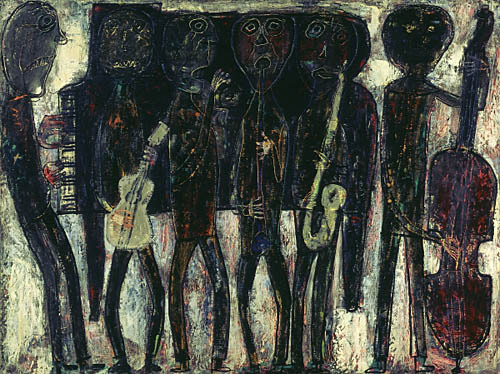 I have very fond memories of Dubuffet from elementary school field trips to the Albright Knox Museum. I always like the modern stuff better so I gotta go wit the first guy. I especially like his mash up of Edvard Munch's the scream with the band at the Star Wars Cantina. 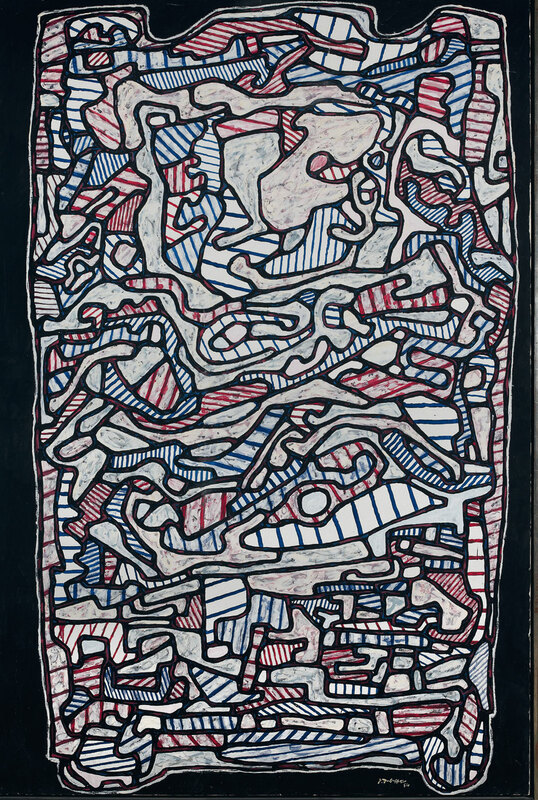 Dubuffet … as much for the name as the paintings. Here's an email vote for Duccio. Also, I had a chance to see Dubuffets up close and personal, yesterday. 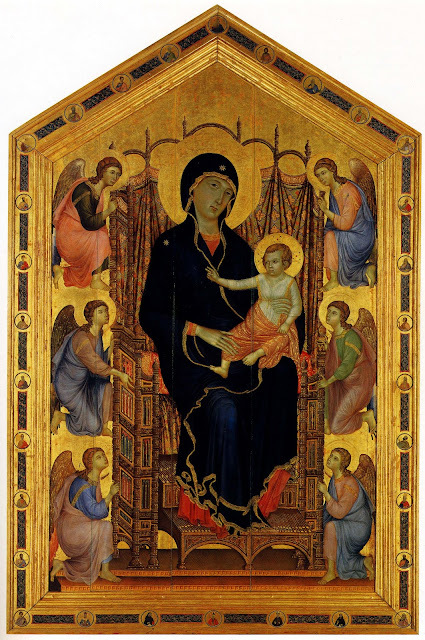 Which, unlike the usual experience, strengthened my vote for Duccio. Duccio! I love the little faces in the margins. Duccio and the early hints of the Renaissance! Duccio surged late, but couldn't overcome an 0-7 deficit and ends up losing by a 2-vote swing, 6-8. Dubuffet will continue on to the second round to take on... somebody.